LAS VEGAS — For the first time in his UFC run, fans not only saw Conor McGregor look mortal. We saw him rocked with a punch, try to take an opponent down out of desperation and then get choked out. The McGregor that knocked out Jose Aldo and Chad Mendes was not the one who submitted by Nate Diaz in the second round Saturday night in the main event of UFC 196 here at MGM Grand. That McGregor was a 145-pound featherweight; this one weighed in at 168 pounds to fight a bigger man in Diaz. And that difference in size played a huge difference. McGregor (19-3) won the first round. He landed many, many punches to Diaz’s head, opening up cuts and bringing out bruising. But Diaz never went down like Aldo or Mendes or Dustin Poirier or Dennis Siver. He kept moving forward. McGregor hit him with the hardest punches he had and Diaz was never rocked or hurt. In the second round, McGregor continued that onslaught, but clearly could not keep the pace. 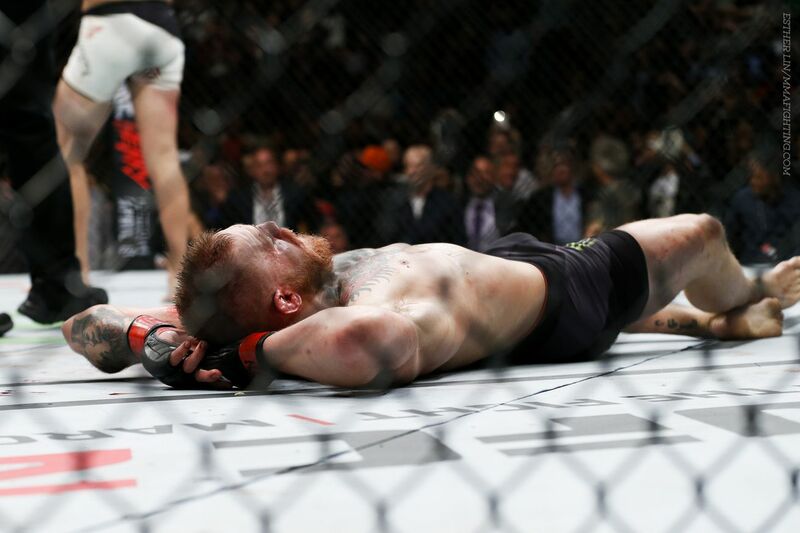 Diaz rocked him with a right hand, McGregor shot in and that put the Irishman where Diaz wanted him: on the ground. There, Diaz landed ground and pound, got into mount, took McGregor’s back and tapped him out with a rear-naked choke.